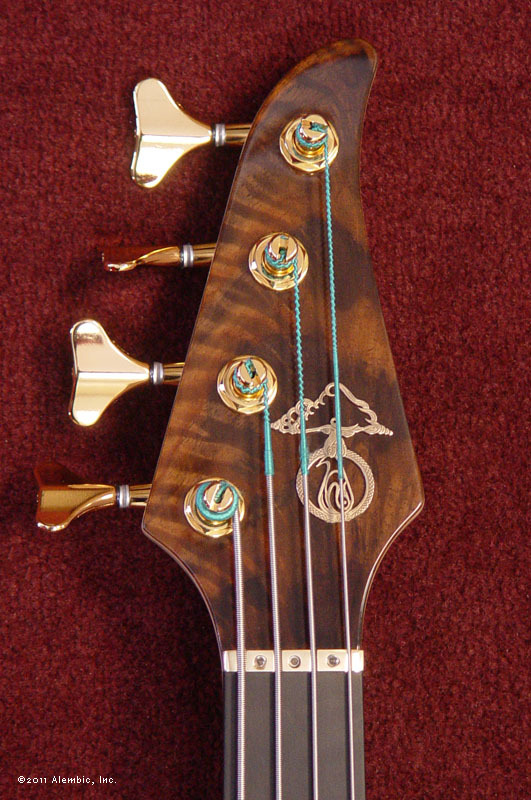 This sultry number is an Orion bass, dressed in California Walnut on the top. 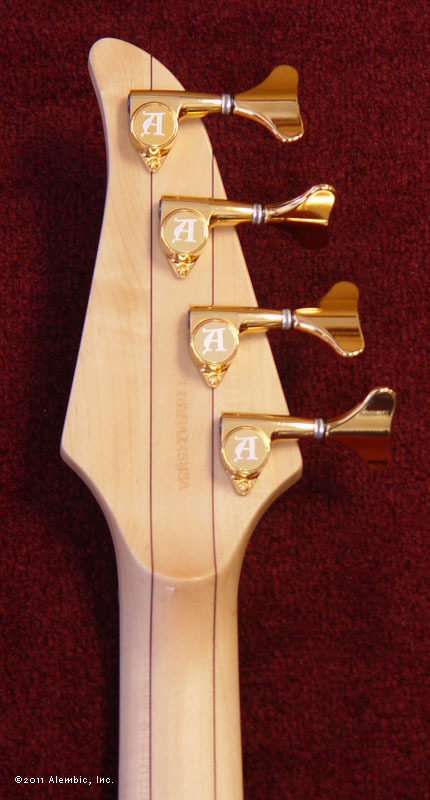 With set-neck construction, this bass is plenty punchy, with midrange not available on neck through instruments. 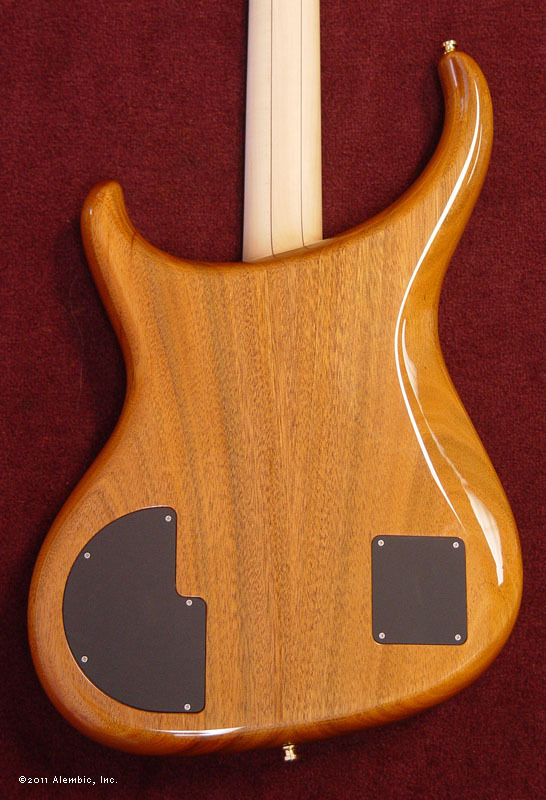 Paired with the Walnut top, you're talking about slap bass tone that is a no-brainer, but with plenty of versatility to travel to blues and rock with ease. California Walnut is a beautiful array of browns. This example looks like it's radiating out of the pickups. Walnut is one of the few woods that over time develops a lighter color. It's a slow process, but in 20 years, you'll notice it. 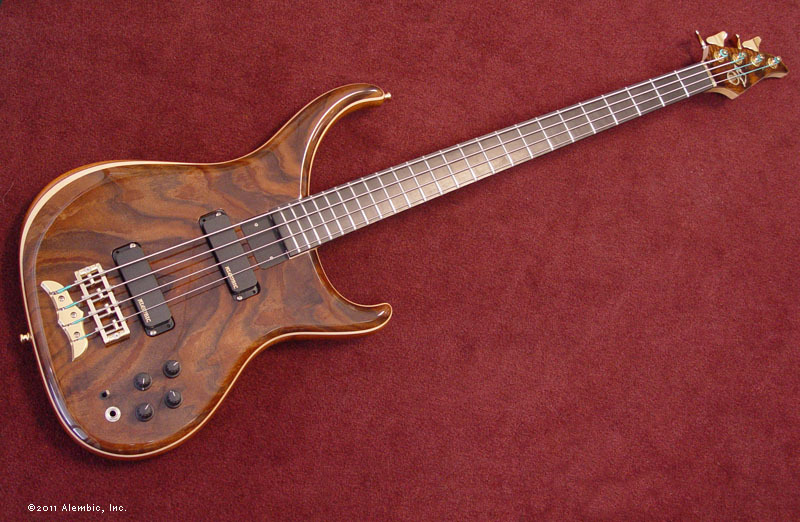 Simple to use electronics offer both cut and boost for bass and treble frequencies.